A valuable relief exists on the sale of the family home but in certain situations careful planning is required to ensure that the relief is obtained. 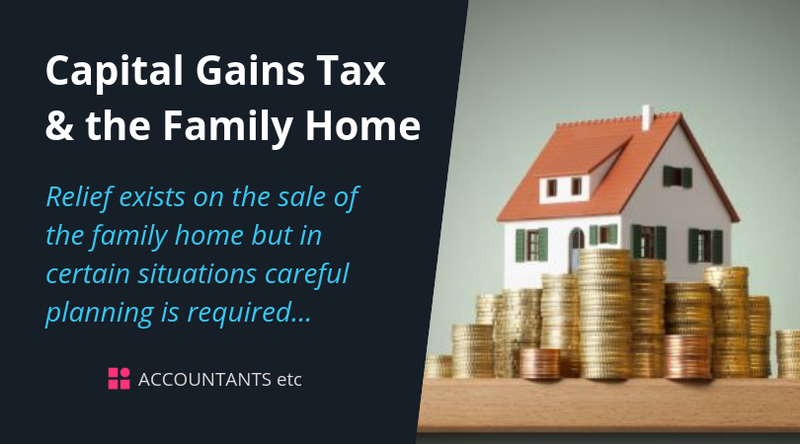 The capital gains tax (CGT) exemption for gains made on the sale of your home is one of the most valuable reliefs from which many people benefit during their lifetime. The relief is well known: CGT exemption whatever the level of the capital gain on the sale of any property that has been your main residence. In this guide we look at the operation of the relief and consider factors that may cause it to be restricted. Either property may qualify for the exemption as Wayne spends time at each - ie they both count as ‘residences’. The main residence exemption continues to be one of the most valuable CGT reliefs. However the operation of the relief is not always straightforward nor its availability a foregone conclusion. Advance planning can help enormously in identifying potential issues and maximising the available relief. We can help with this. Please contact us if you have any questions arising from this guide or would like specific advice relevant to your personal circumstances.